OM International Machine Tools Planner Machine Manufacturer produce the Planner Machine with great sustainability and able to multifunction with heavy duty work ease. It provides cheapest Planner Machine India to its customers that suit their budget. With the involvement of modish technology, latest machinery and advanced tools in all our processes, we are occupied in offering Heavy Duty Planner Machine. 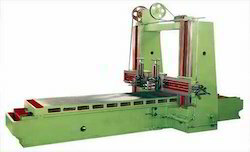 Used to provide optimum thickness tolerance to the objects, this planner machine is highly appreciated due to its remarkable features and customized option. Our veteran engineers only use the best in class components and other allied materials while manufacturing this planner machine. Clients can avail this planner machine from us in numerous technical specifications at an affordable price. We are regarded as the leading brand affianced in offering highly efficient Extra Heavy Duty Planner Machine. Used for shaping metals in different industries, this lathe machine is highly efficient and well known due to its heavy duty design. This lathe machine is precisely manufactured from superior quality components and cutting edge technology in synchronization with the industry set norms. 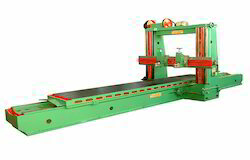 As per the clients' particular needs, we offer this lathe machine in numerous technical specifications.